Samsung has been working on its 5G modem for some time now and was first showcased during this year’s CES. Today, the company formally announced the finished product and called it Exynos 5100. It’s the companys’s first 5G modem and complies to the 3GPP standards. 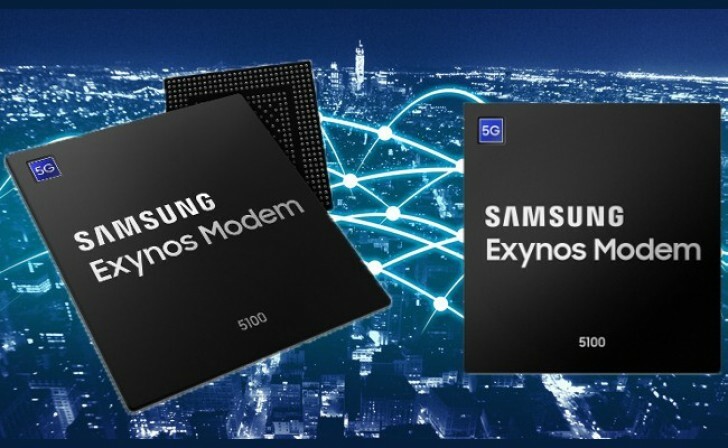 Like the modem in the current Exynos 9810 chipset found in the Galaxy S9, S9+ and Note9, the Exynos 5100 modem is built on the 10nm manufacturing process supporting legacy networks like 2G GSM/CDMA, 3G WCDMA, TD-SCDMA, HSPA, and 4G LTE within a single chip solution. What’s more important, though, is that the modem is a fully capable 5G networking hardware supporting sub-6GHz and mmWave spectrum defined by the 3GPP (3rd Generation Partnership Project). This means that the chip can reach theoretical speeds of up to 2Gbps using the sub-6GHz frequency and up to 6Gbps on the mmWave. That’s 1.7 times and 5 times faster transfer speeds over its predecessor when using the sub-6GHz and the mmWave settings, respectively. This is a big breakthrough for the end user as well as help bringing closer some long-anticipated technologies like IoT (Internet of Things), holograms, ultra-high resolution videos, real-time AI and autonomous driving technologies.